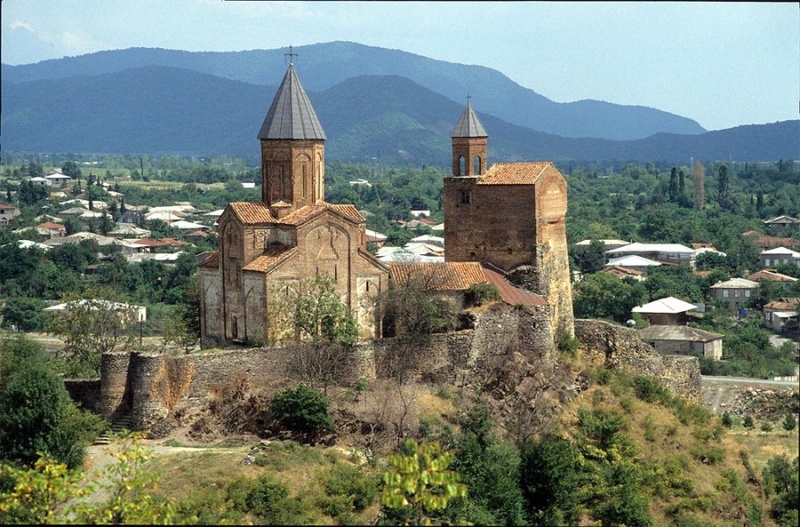 Another ethnic clash took place in the Kakheti region in Georgia. The cause of the conflict is quite common, but the two parties involved are Georgians and Kists, ethnic Chechens living in the notorious Pankisi Gorge. In terms of religion, they are Orthodox Christians and Muslims. Moreover, these Muslims profess not only traditional peaceful Islam, but its aggressive new movements. What’s even worse, the people involved in the conflict are not just common citizens, but officials. Representatives of the local department of the “Georgian Dream” party, who are allegedly patronized by a “highly respected member of parliament” beat one of the leaders of the Khalatsani village administration in the Pankisi Gorge. The conflict escalated, and a few more Kists were injured in the second and the third “rounds”. Spetsnaz troops were deployed in the region to resolve the conflict. Four people were arrested, and, according to various estimates, from 3 to 7 injured people are in a district hospital. 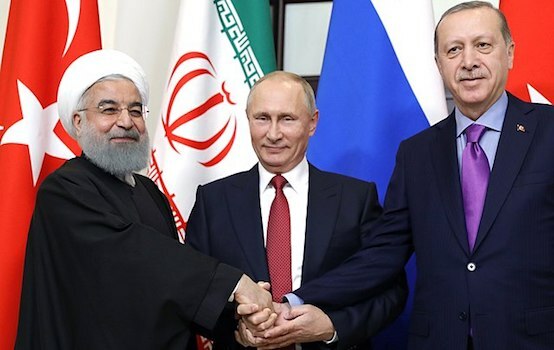 The widely covered conflict, it is said, started several years ago, when today’s opponents got involved in a car accident and postponed the conflict “until the right moment.” It has probably come. Fights in the Kakheti region, known as the “wine cradle of Georgia,” do take place. The fact that officials provoke each other on purpose is not surprising. Separation on religious grounds is disturbing, even dangerous under current circumstances, but it can be overcome. However, the fact that conflicts, where the religious factor is present to this or that extent, take place more often in Georgia may be catastrophic for the country where not less than 200 thousand people are Muslims. These conflicts are sometimes outrageous. Less than a month ago, serious riots took place in the village of Mokhe in the Adigeni district, in South Georgia. Ten people were arrested, and ten more were hospitalized. Back then local Muslims took an overly active part in protesting against the decision of the secular authorities to turn an emergency building in the center of the village into a library, declaring it authorities’ property. Christian residents of the area stood by the officials. This is not the first time that conflicts with a religious overtone occurred in Adigeni. Shortly before the above-mentioned events, in the village of Chela the secular officials authorized the dismantling of a collapsible minaret. The authorities concluded that it was imported to Georgia from Turkey without payment of customs fees. The dismantling of the minaret escalated the rage of the Muslims in the region. Adigeni is the second biggest district in the Samtskhe-Javakheti region. In the south it borders Muslim Turkey and in the west – the Autonomous Republic of Adjara, where a third of the population is also Muslim. The Samtskhe-Javakheti region is troubled, economically depressed. Three out of six districts of the region are inhabited by Armenians, and this makes the situation more difficult. They also live in three other districts. Some of the Meskhetian Turks, deported during World War II, should be allowed to return to that area, according to Georgia’s international obligations. There is no need to speak about the Turkish-Armenian relationship, for it is well known. Muslims are convinced that their rights are violated, and that contributes to already existing problems. In fact, the authorities’ action in the village of Chela cannot be logically explained. How much money could their budget lose because of unpaid custom fees on an imported minaret? It is difficult to calculate the exact figure. However, taking into account Georgian liberal fiscal legislation, it hardly can be a sum worth escalating a religious conflict over. Muslims are now systematically staging protests. Muslims who live in neighboring Adjara are ready to “help” Adigeni. Discontented voices have been heard in Turkey as well. Authorities eventually gave in and reinstalled the minaret. Muslims not only achieved their aim, but arrived at the following conclusion: a conjoint protest can be effective. That is why it was hardly surprising when they were involved in disturbances in another village, Mokhe. This time Muslim discontent was provoked by the authorities’ decision to build a shopping mall in an abandoned emergency building. A library, according to another version. They declared themselves owners of the abandoned building on the grounds that it once was a mosque. As mentioned above, this resulted in unrest, and some people were injured or arrested. The authorities gave in once again – the court took charge of the building. In Mokha Muslims are not going to give in. If the court does not pronounce judgement in their favor – there will be new protests. The story of the building is quite simple. 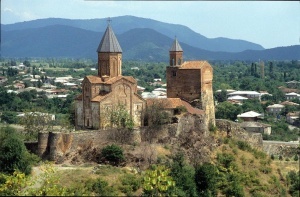 There was a church on its site, which was destroyed by the Turks during another seizure of Samtskhe-Javakheti. The church debris was later used to build a religious building for Muslims. During Soviet times it was razed to the ground, and in its place a cultural center was build, which eventually fell into decay. Today’s conflict started because of that very building. Some security experts believe that increasingly frequent conflicts with a religious component, which are not, by the looks of it, interconnected, should be dealt with extremely cautiously. 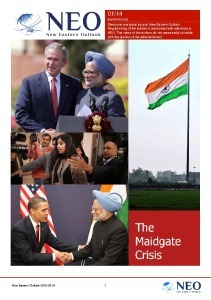 Events of recent years have proved that it is hard to predict the mood in the Muslim world from the outside. Each conflict in Adigeni has an underlying reason, as well as conflicts in Kakheti, but they all may be parts of the country’s destabilization plan. As practice proves, destabilization on a religious basis has most severe consequences. In this connection it is worth remembering the recent “informational provocations”, when anonymous bloggers uploaded to YouTube videos which were aimed at inciting hatred in the Muslim world towards early Christian Georgia. The video message of the militant, who fights for the Islamic State, Omar al-Shishani (Baritashvili) is also quite illustrative in this regard. The man, born in the Pankisi gorge, has threatened to return home and “restore order”, first, at home, where the Muslims are being infringed, and then in Russia which has neutralized his brothers in faith in the North Caucasus. Al-Shishani is not the only Muslim from Georgia who is participating in the war in the East. According to some information, there can be a hundred or even more of them. This is not a force that can bring about big troubles, but it will very likely lead to local disturbances. Alexander Rusetsky, the head of the South Caucasus Institute for Regional Security, thinks that the inter-confessional situation in Georgia has generally deteriorated. “In order to maintain balance, secular authorities should keep their heads cool, and spiritual leaders should avoid confrontation by reminding their congregation about love and tolerance: the fundamental bases of any religion,” he said to the reporter of “Novoe Vostochnoe Obozrenie”. Yuri Simonyan, columnist of “Nezavisimaya Gazeta”, exclusively for the online-magazine “New Eastern Outlook”.